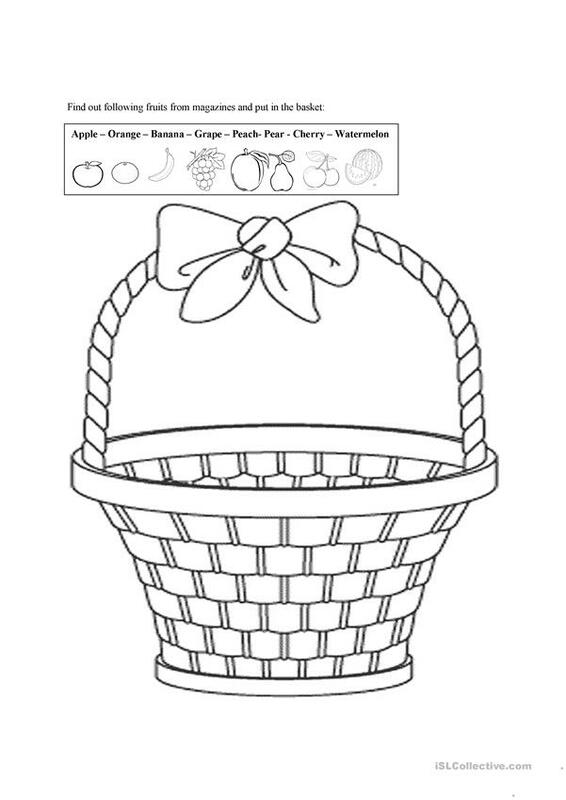 find the fruits from magazines or books, paste in the basket and say their names. This downloadable printable is intended for elementary school students and kindergartners and nursery school students at Beginner (pre-A1) and Elementary (A1) level. It is a valuable material for honing your learners' Speaking and Reading skills. It is about the vocabulary topic of Food.